Product prices and availability are accurate as of 2019-03-12 10:10:51 UTC and are subject to change. Any price and availability information displayed on http://www.amazon.com/ at the time of purchase will apply to the purchase of this product. 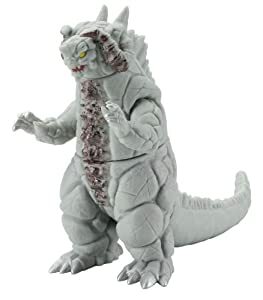 500 series Ultraman Kaiju Ultra Monster # 35: SILVERGON, the "Super Powerful Monster" from the Japanese TV show "Ultraman Tiga". 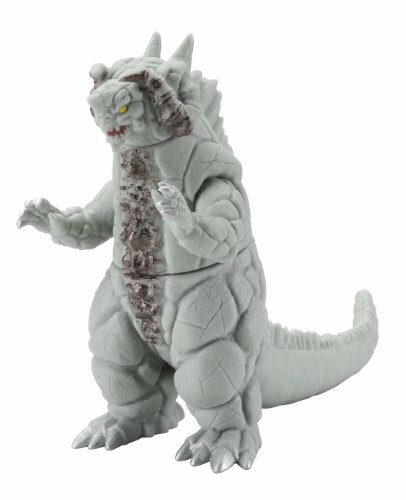 A highly-detailed and accurate reproduction of the Kaiju beast as seen in the original Ultraman TV show or film. Soft vinyl (sofubi) action figure geared up with the Ultra Live Sign coded ID badge at the bottom of the foot. Thanks to this badge, the Kaiju beast comes to life when acknowledged by the DX Ginga (Galaxy) Spark device or other Ultra Live compatible devices (sold individually/ Japanese language just). Figure has several points of articulation. The size of the figures in the collection varies; the average height is 5 inches.